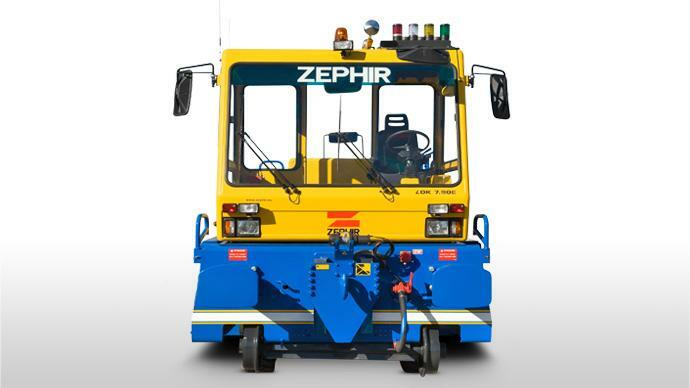 Zephir is pleased to present the LOK 7.90 E, rail – road vehicle equipped with electrical motor. Progression of LOK range, the LOK E has two 30 kW electrical motors (instead of diesel engine, one for each axle, 920 Ah, 80 V battery powered. 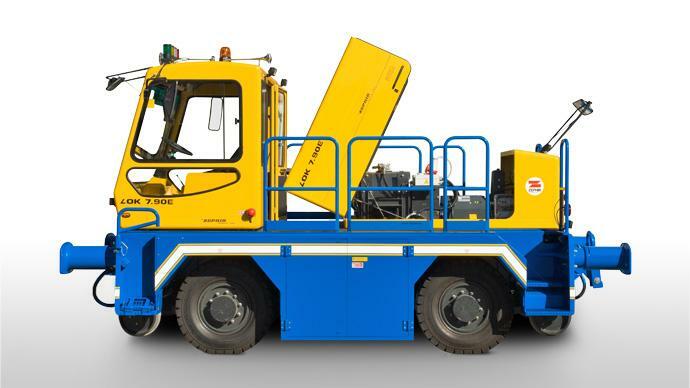 This vehicle could be on and off – tracked from railways and it can cross tracks to perform cross terminal movements quickly and more cost effective than the LOK range. 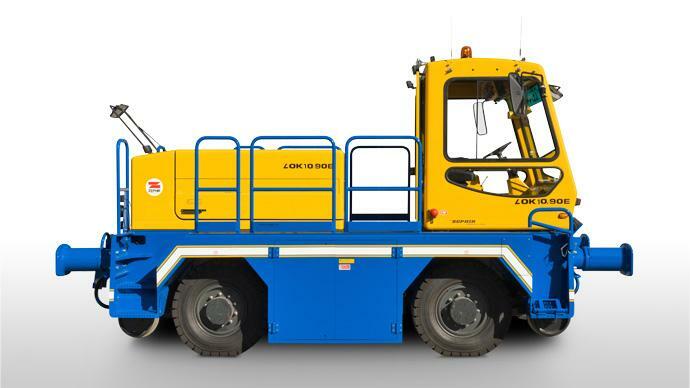 This vechicle lends itself to a raft of operations and with zero emissions is suitable for working in enclosed and/or underground environments such as mines, tunnel construction and also as a recovery vehicle within these settings. The LOK E range enhances the environmental role of Zephir in designing non-polluting vehicles. 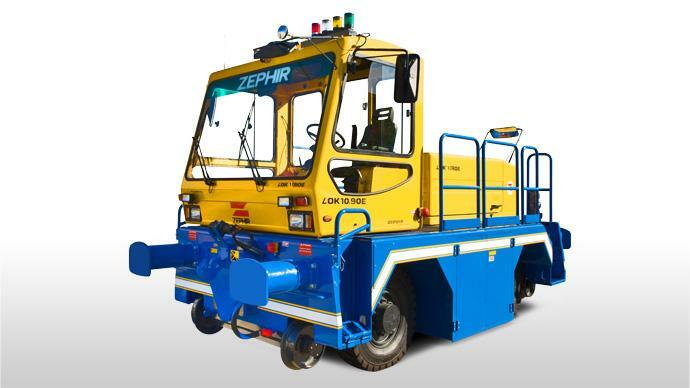 Zephir is pleased to present the LOK 10.90 E, rail – road vehicle equipped with electrical motor. Progression of LOK range, the LOK E has two 30 kW electrical motors (instead of diesel engine, one for each axle, 1000 Ah, 80 V battery powered. 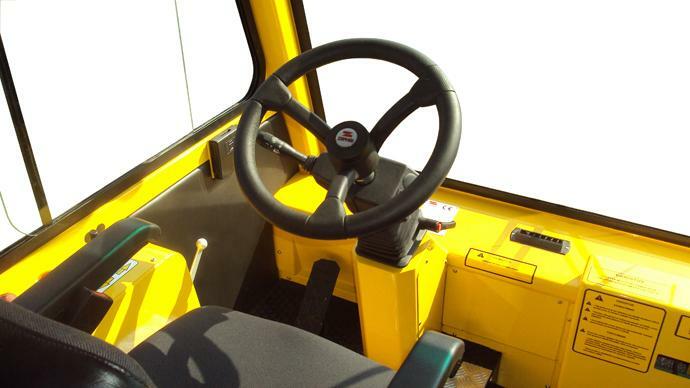 Zephir is pleased to present on the market LOK 13.90 E, rail – road vehicle equipped with electrical motor. Progression of LOK range, the LOK E has two 30 kW electrical motors (instead of diesel engine, one for each axle, 1000 Ah, 80 V battery powered. 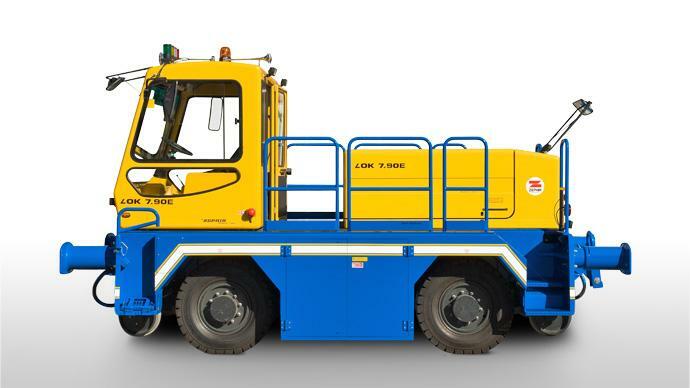 This vehicle could be on and off – tracked from railways and it can cross tracks to perform cross terminal movements quickly and efficiently at a smaller costs than the LOK range. LOK E range enhances the environmental role in Zephir strategies, that is more and more engaged in designing non – polluting vehicle.